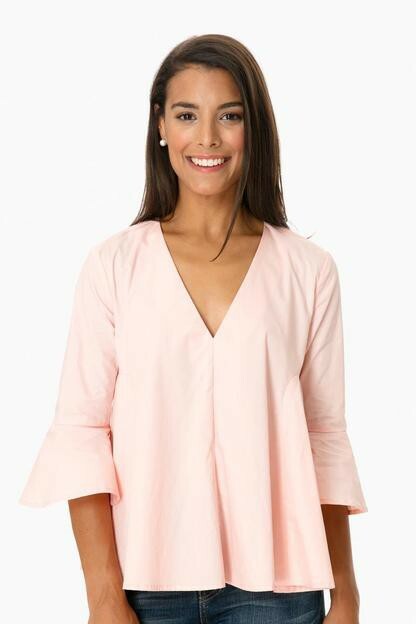 Modeled in size SmallRuns small through shouldersModel Measurements: Height 5'10", Waist 25", Bust 32", Hips 33.5"
I love this top - have received so many compliments on it. Would buy it in 10 more colors!! Loved this shirt so much -- the detailing is fantastic and the color is AWESOME, but it's a tad bit short! 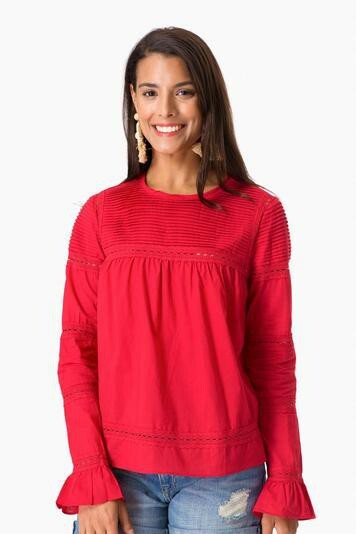 Red is in for fall and this blouse is perfect punch of color. Good fit. I am a size 4 and the small fit perfectly. Loved the blouse, especially the color, but fit wasn't flattering on me and returned it. 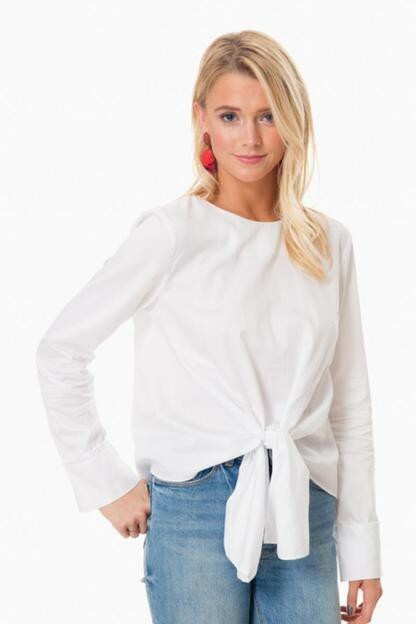 Perfect summer blouse to add a little color to your outfit. Fits true to size!.